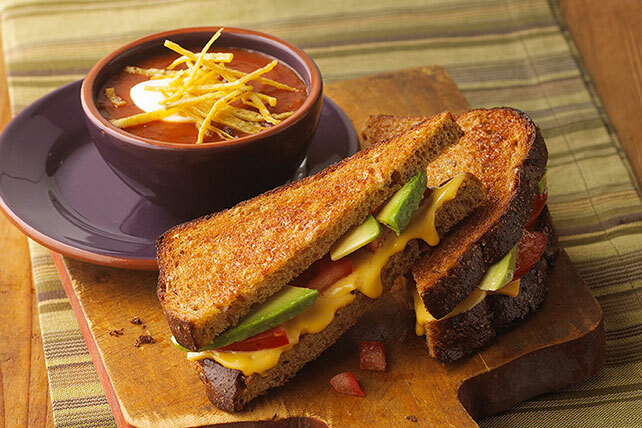 Get some veggies onto the menu with our Avocado Grilled Cheese recipe. They won't suspect a thing with the great taste of our Avocado Grilled Cheese. Fill bread slices with avocados, tomatoes and Singles. Spread outsides of sandwiches with mayo. Prepare using KRAFT 2% Milk Singles. Serve with an ice-cold glass of fat-free milk and bowl of hot tomato soup to round out the meal.